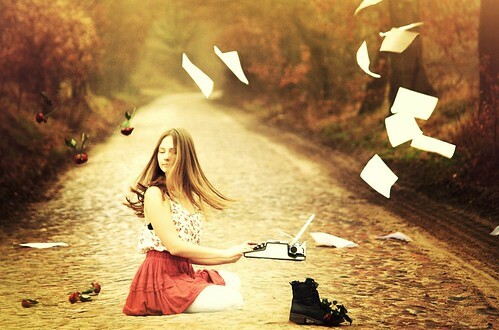 I find myself thinking about writing all the time. But I’m not actually writing at this present moment. Am I on vacation – or not a writer? I need to ask myself this question – today. LOL! When I was away, I didn’t write anything… but I copyedited 😛 Is that equivalent to writing? Now’s the time then! Looking forward to lots of post from you. I was at Best Buy the other day and I almost purchased software called ” Dragon” that types the words you say onto your computer screen. Sometimes the slowness of my typing can’t keep up with my thoughts so maybe it would be easier to just say what I’m thinking and skip typing altogether. Whenever I get a little stressed a do take deep breath,but,first thing I do us to at least sit down to drafting an article .I remember,once I was visibly upset or stressed out when my wife picked up and gave me my iPad asking me to write . If am not writing, I am thinking. Even if I don’t actually write, the thinking process actually helps me in getting some angst out of my system. It is a blessing for me Corinne. Whenever I am stressed or anxious, I try to think about writing. It diverts the mind and eases stress. If there are no deadlines, one can carefully control the thoughts and take a vacation at will. Thanks, Alka. Yes, writing has been my way of letting steam out too! But I must begin to write more.